Is it possible that work is causing damage to your hearing? This problem is called occupational hearing loss and it is very common. Work on the job exposes the employees to repeated loud noises that do eventually cost them their hearing without precautions in place. Here are a few facts you need to know regarding occupational hearing loss and how it might factor into your job. How Common is Occupational Hearing Loss? The CDC explains that a carpenter who is just 25 could have the hearing of a 50-year old thanks to occupational hearing loss. How Does Occupational Hearing Loss Happen? 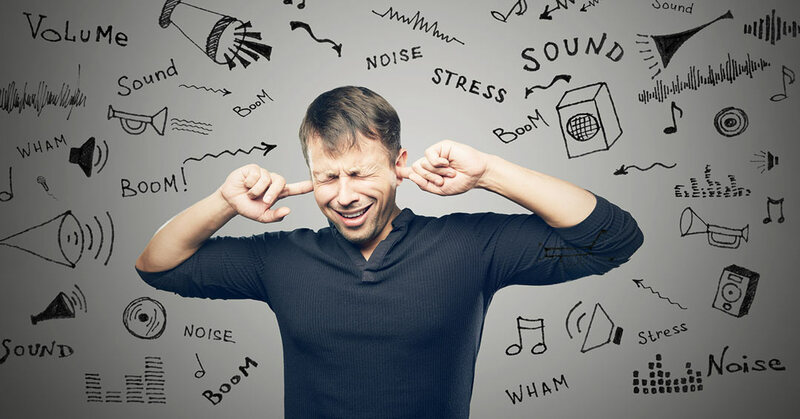 A person diagnosed with this form of hearing loss deals with loud noise chronically at work – noise that damages the delicate mechanisms of the ears. Imagine listening to a jackhammer every morning, only this one isn’t on the street outside your window. It sits just one meter away from you all day long. The noise level of a jackhammer at that distance is around 120 dB. The measurement of decibels looks beyond how loud something is, too. Decibels also factor in sound pressure and intensity. In the case of the ear-damaging jackhammer, the real problem is vibrations. Sound enters the ear in waves that vibrate and anything over the 80 dB is a potential problem. If you are standing on the sidewalk near the worker using the jackhammer, you’ll walk away with some temporary hearing loss. The person operating that jackhammer, though, will develop permanent hearing problems after long exposure to this high decibel noise. This type of acoustic trauma isn’t limited to excessive exposure, though. A onetime loud noise can do damage, too. Consider a firefighter standing next to a building that explodes. He or she might have a permanent hearing loss even though there isn’t constant exposure to sounds at that decibel level. The intense vibration created by the explosion is all it takes to cause damage. How Do You Tell if You Have Occupational Hearing Loss? Unfortunately, the main symptom is the hearing loss itself. That’s a major concern for workers because the damage happens without them even realizing it. By the time they suffer hearing loss, it might be too late to take steps to protect their ears. If a person starts noticing ringing in your ears, especially after work, then it’s time to look into more comprehensive ear protection like wearing ear plugs or muffs on the job. If you suspect you have any occupational hearing loss, schedule an appointment for a hearing test. This is a regular requirement in some industries. They expect their workers to have annual hearing exams and tests to ensure they are not losing their hearing. In fact, it is very common for bartenders and servers who work in clubs where ear protection would interfere with their job. If you do think you have hearing issues related to work, take immediate measures to protect your ears. For some employees, that will mean changing jobs. Occupational hearing loss is progressive in most cases. You can limit the damage by avoiding loud noise in the future. The next step is to schedule an appointment with a hearing specialist. If the hearing loss is conductive, meaning the nerves in the inner ear are intact, then wearing hearing aids will allow you to hear once again. The best tool at your disposal when it comes to occupational hearing loss is prevention. If your job exposes you to loud noise, wear ear protection, but take precautions at home, as well. Don’t leave headphones on for long periods of time and protect your ears during recreational activities like shooting at the gun range. The things you do now will matter later in life when hearing naturally declines.